Harris Deller was born in Brooklyn. He received a B.A. in Art from California State University at Northridge and his MFA from Cranbrook Academy of Art. His work is included in the collections of: Indiana State University; Arizona State University; The Illinois State Museum; The Cranbrook Museum; University of Iowa; the Long Beach Museum; the Everson Museum; the Museum of Contemporary Art and Design, NY; Utah State Universtiy; Shigaraki Museum; the San Francisco Museum of Art; Racine Art Museum; Hallmark Corporation; Yixing Ceramic Museum; and Philip Morris, N.Y. He has received Artist Fellowships from the Illinois Arts Council, Arts Midwest and a Fulbright Fellowship. 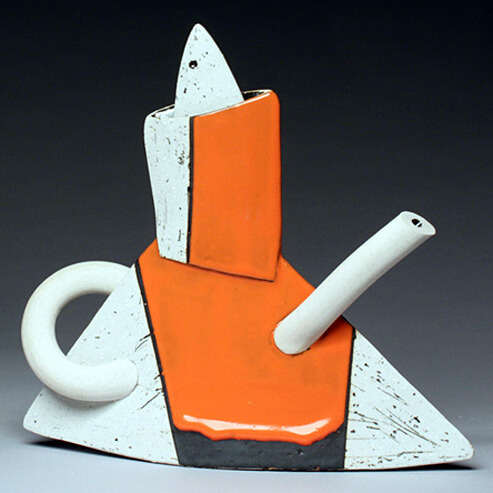 His work was recently featured in (2008, January), Ceramics Monthly and (2006), Ceramic Art and Perception. He is currently a Professor and the Director of the School of Art and Design at Southern Illinois University Carbondale.